Our Fall schedule is now in full swing! It’s that time of year to emerge from our climate-controlled homes to once again enjoy the great outdoors. 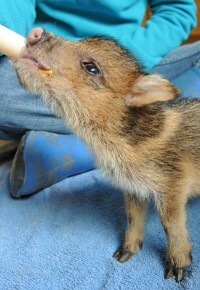 What better way to discover the Southwest than with a visit to Southwest Wildlife Conservation Center. Our fall schedule is now in full swing. Our animals appreciate the cooler temperatures as well. In fact, in addition to being more visible, many celebrate the change in seasons with vocalizations! In particular, the 3:00pm tours on Friday and Saturdays are some of our guides’ favorite tour times due to the beautiful golden lighting and howling wolves. A GOOD tour is when you see ALL of our animals; a GREAT tour is when you hear some of them too. Another sign of Fall…pumpkins. Many of our animals love this fruit so we use them as enrichment. Register for your tour today! Experience the cooler temperatures, see and hear how our animals honor autumn. 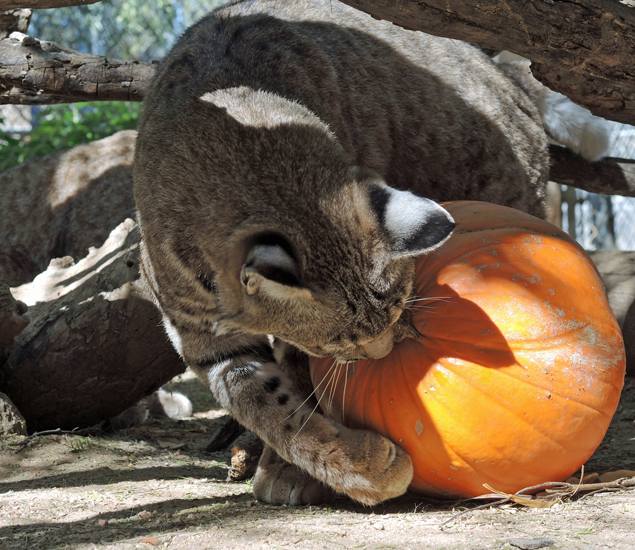 And bring some pumpkins as a donation—our animals will fall in love with you as you fall in love with Southwest!